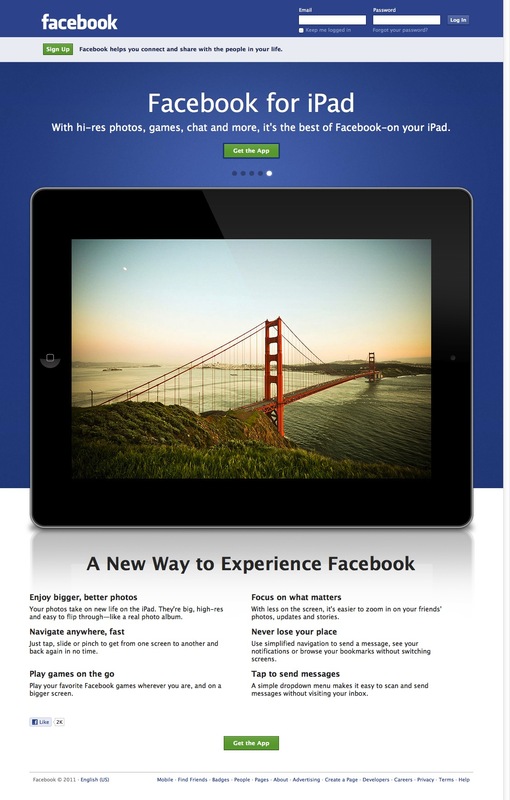 There was even a Facebook programmer, Jeff Verkoeyen, the lead developer for the Facebook iPad app, that ended up quitting the company due to frustration over the delays. He is now at Google. Their first iPhone developer went through the same thing a few years ago and quit. Whatever the reason, it is now out and is sure to pop to the top of the download charts. Until Facebook releases a similar application for Android devices, this new app could help Apple push iPads over the competition. Facebook is hugely popular and something people want to experience on as many devices as they can, privacy be damned! The Kindle Fire will be able to access Facebook but as with all other tablet computers, it won’t provide nearly the experience expected from the iPad app. Having an exclusive app to such a hugely popular site can prove pretty important. It’s also likely ready to put out of business the dozen or so applications that made it into the App Store as substitutions for an official app from Facebook. They are still in top spots but for how long? Some of them have actually made the migration to the desktop, which is interesting in itself. I have purchased a few of the apps, such as Friendly and MyPad, while waiting for Facebook to put out their application. These apps filled an unnecessary void for a while but ultimately lacked some of the key features that will make this official Facebook app so popular. I cannot think of a good reason for anyone to buy one of these third party apps now. Guess that’s the nature of the game! There is something to be said for being able to control an ecosystem. The new Facebook app will focus on extending the Facebook experience to the tablet, utilizing multi-touch, geolocation and photos. Facebook hosts more photos than the Library of Congress and Flickr combined, times twenty, so it only makes sense that the Facebook take advantage of this large, bright screen. If you want to download the new app from the App Store, click here. Technically it’s the same app you had before, “This app is designed for both iPhone and iPad,” but it isn’t being pushed out to users just yet. If you search for it in the App Store, it doesn’t even show up under the iPad section. So use that link. This entry was posted in Nerdiness, Thoughts and tagged App, App Store, Apple, Facebook, Facebook app, Facebook for Tablets, Facebook iPad App, Facebook on iPad, iPad, iPhone, iTunes Ping, Library of Congress, Mark Zuckerberg, New York Times, Social Media by Justin Scott. Bookmark the permalink. @justex07 too bad timeline is delayed…also where are lists in the iPad app!? @shayes287 yeah, they clearly have a ways to go until it’s up to the new system, clearly this was in the works MONTHS ago. @justex07 I agree. Timeline is a hit. The iPad app is STELLAR. Fairly intuitive and smooth. @richmackey I wish they implemented the new Timeline profile, annoyed at the newsfeed autoscrolling to the top when you exist a stream. It’s great. So much better than Friendly – though I loved that at the time. I like how things slide off the right and left or under as needed… genius use of space.